We think the A6 3.0T is the best pick of the mid-size Audi sedan range, unless you're fixated on fuel economy numbers. Traditional looks disguise this Audi's brilliance: it's a blast to drive in either 3.0T trim or S6 spec. The Audi A6 is a handsome, capable, luxurious sedan that still manages to get lost in the shadows.Not only does it face off against two of the toughest premium sedans ever to hustle down the Autobahn--the BMW 5-Series and Mercedes-Benz E-Class--it also faces internal foes, in the form of the superlovely Audi A7 hatchback that's virtually identical aside from its skin, and the less expensive A4, which is nearly as roomy and much more affordable, as a purchase or a lease. With the A6, Audi has a classic middle-child conundrum that it solves by lavishing lots of attention on it. It may look more pedestrian than the A7, but with the 2013 Audi S6 and its 420-hp turbo V-8, 7-speed dual-clutch gearbox, and performance upgrades, driving fun is just a paddle-shift away. The cockpit of the A6/S6 is a clone of that in the A7 and S7. That's a relief, as it houses plenty of lovely shapes and textures, arranged in perfect coordination. One of the best attributes of the 2013 A6 is its 310-horsepower supercharged V-6--matched with an 8-speed automatic and all-wheel drive. 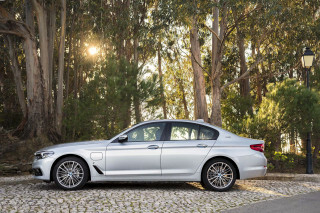 A base front-wheel-drive model with a continuously variable automatic transmission (CVT) and the 211-hp turbo four-cylinder engine is offered, but you should skip that. Thankfully this year there are also four-cylinder quattro models with the eight-speed automatic. The A6 has a swept-back silhouette styled to appear as if the car has rear-wheel drive. Interior space takes a hit. The back seat in the A6 feels smaller than the back seat in some rivals, though by cubic feet it's roughly the same. 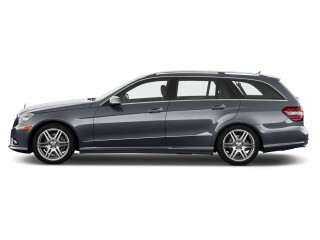 Space in front is expansive, but the back seat's leg room is tight and three adults across will be a tight fit. The A7, with its hatchback cargo area and four-seat configuration, has more appeal. 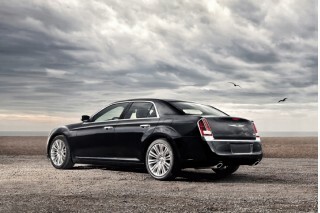 All A6 sedans come very well equipped, with the usual power features, leather, and high-power audio system. Options draw deeply from the tech well. In-car wireless Internet pumps in Google Earth maps into the navigation system. Active safety features include a rearview camera, parking sensors, night vision, blind-spot monitors, and a head-up display. All that said, the A6 and its conservative style land in an odd place in the U.S. luxury market. 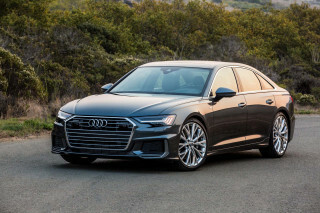 With the A7, as well as style-conscious spinoffs like the Mercedes-Benz CLS and BMW 6-Series Gran Coupe, which offer nearly as much usability, the A6 and A7 have limited appeal among those who want to indulge yet not stand out. The A6 and S6 are handsome and far from frumpy; but they look a little conservative next to the beautiful A7. The 2013 Audi A6 and S6 are good-looking mid-size sport sedans, with a handsome profile, nicely contoured sheetmetal, and crisp details. But all this said, if you've seen its more stylish A7 hatchback counterpart, you might end up feeling a bit ambivalent about the A6's look. In an era when other German luxury marques--and luxury brands in general--have been moving away from scaling up a similar design throughout their lineups, Audi has headed in quite the opposite direction. It's given its A4, A6 and A8 sedans similar proportions and a common design language, yet the A6 is neither as attainable as the A4 or the social-climber device that's the A8. Compounding the fizzle for this mid-sizer is that the character line that swipes up its side into its rear fenders-the so-called "tornado" line-is now in the standard design playbook and seen even on inexpensive vehicles such as the Hyundai Elantra. Audi had up until a few model years ago distinguished itself with more delicate details, but the immense ground-to-nose grille in the latest A6 and others doesn't entice us--it goads you into staring it down. All told, the A6's sheetmetal speaks more to its global mission as more of an everyman's sedan than to its U.S. mission as a zingy alternative to the Mercedes-Benz E Class, Infiniti M, and BMW 5-Series. The styling is far more successful inside, where the instrument panel is low and slim. An available navigation system displays on a screen that rotates out of the dash. The shape of the dash is sleek without being too extravagant, and the carved-out dash and door panels give the impression of slightly more interior space. The car's cockpit is composed of lots of trim pieces and at times the combination of metallic trim, wood, leather, and all those seems can give the impression of a busy workplace. One styling mismatch we've noted is the red interior lighting, which simply does not work with some of the wood trims. Against equivalent sport-sedan models, the Audi A6 and S6 are solid, inspired performers--although the base front-wheel-drive model isn't as charming. The 2013 Audi A6 and S6 lineup, as with those of most premium German sedans, are offered in a range of flavors that caters to those who don't care all that much about the driving experience to those who do passionately. Base front-wheel-drive four-cylinder cars address simple luxury-car needs, while the expensive, technologically complex supercharged V-6 and all-wheel drive deliver satisfying performance in upper A6 trims; meanwhile the introduction of a performance-oriented, turbo-V-8 S6 model for 2013, enthusiasts have something satisfying, yet somewhat sensible. We still haven't driven the base, front-wheel-drive version of the current A6, but with its continuously variable automatic transmission (CVT)--and past drives of Audis with this transmission--we expect this model to be far from thrilling or zesty. Expect to become familiar with some of the engine's coarser range, and for some level of delay when passing. Otherwise we've been happy with the 211-horsepower, 2.0-liter four in the A4, and it should deliver reasonably quick performance in quattro all-wheel-drive versions, which instead get a great eight-speed automatic with manual controls. The turbo-4 isn't slow. It's capable of a 7.5-second run to 60 mph, and a top speed of 130 mph. Above that sits a supercharged V-6 A6 with plenty of thrust, and not much more an appetite for fuel. Audi's A6 V-6 knocks out 310 hp and 325 lb-ft of torque. 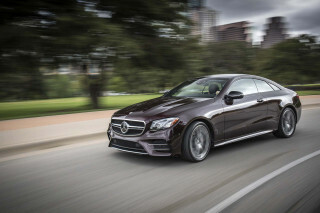 It's harnessed to an 8-speed automatic and all-wheel drive, set for a rearward fixed torque split of 40:60. Audi promises 0-60 mph will arrive in 5.3 seconds, and this A6 will reach 130 mph. With this powertrain, the A6 is just a joy to drive; it leaps off the line and runs like it's on a luge, with extremely good tracking, no torque steer, and an amazingly flat powerband. The 8-speed automatic fits perfectly with the engine, clipping off downshifts and upshifts with only an occasional hiccup under part-throttle. Steering-wheel-mounted shift paddles take direction on command, and you don't have to be in sport mode to use them. All A6 cars get Audi Drive Select. This system adjusts the response of the throttle, transmission, and steering through Comfort, Auto, Sport and individually tailored modes. It can be frustrating to use. Sport steering mode feels too heavy, and Auto doesn't vary effort much from low-speed corners to high-speed sweepers. The A6 has good handling, but it still delivers lots of understeer despite the rear torque bias of its all-wheel-drive system. In Sport mode, the A6 is nonetheless a joy to drive on winding roads. 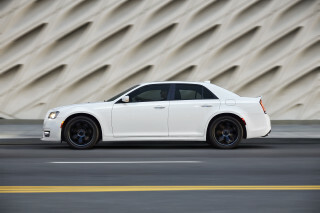 For 2013, a new S6 offers a 420-hp, 4.0-liter twin-turbo V-8, a 7-speed automatic, a sport-tuned suspension, bigger brakes, and an available torque-vectoring rear differential. This S6 should offer a 0-60 mph time of 4.5 seconds, as well as more satisfying handling. A sport-sedan silhouette makes the 2013 A6 and S6 less spacious inside than you might think. The 2013 Audi A6, like its BMW 5-Series, Jaguar XF, and Mercedes-Benz E Class luxury rivals, has less interior space than you might think from the outside. Technically it's a five-passenger sedan, but with a smallish trunk and a a relatively skimpy middle (fifth) seat space in back, you'd likely be happier with the (arguably more stylish) four-passenger A7 hatchback if practicality is a top concern. With an overall length of about 193.9 inches, the A6 is about the exterior size of many mid-size sedans, although Audi has tried to give this sedan the swept-back proportions of a rear-wheel-drive sport sedan, and that's cost some space. With about two more inches of height versus the A7 hatchback, there's a touch more headroom in the A6, though. Front-seat accommodations in the A6 are superb, with lots of head, leg and knee room, though the A6's center console widens a bit and nibbles out a bit of the available space. We've found the power front seats to be supportive and exceptionally comfortable on long trips, and Audi recesses its headrests for far better comfort than the protruding active headrests on some other luxury cars. The front seats can be fitted with heating and ventilation controls. The A7 and A6 have different rear-seat arrangements, and we're not convinced the extra seat in the A6 is worth it. The A6 has a slightly higher roofline and three seatbelts. It's true that two 6-foot passengers can fit back there, but knee room isn't exactly plentiful. The A7 doesn't offer the middle seat position, but its snug accommodations are tougher to get in and out of. The A6's trunk isn't as large as the cargo space under the A7's hatchback. At 14.1 cubic feet, the A6 trunk is small even by luxury standards, and the cargo floor is somewhat high. A6 cars have fold-down rear seatbacks, but they don't fold flat. And seemingly in following the tradition of German luxury sedans, there isn't all that much storage space for small items. The A6's cupholders are a tight fit for most drinks, unless you're pounding Red Bull. The console is shallow, and the glovebox is slim. Fit and finish is a strength, as it usually is in Audis. The cabin filters out a lot of road noise and powertrain noise. Excellent crash-test results plus some standout active-safety features make the A6 family a safe, secure pick. The 2013 A6 and S6 family of sedans build on Audi's strong safety reputation, with a long list of active-safety options that will give peace of mind dangerphobes--as well as some excellent test results. The Insurance Institute for Highway Safety (IIHS) called the A6 a Top Safety Pick this past year, with top 'good' ratings from the organization in frontal, side, and rear impact tests, as well as in the roof strength test. Every A6 has standard front, side and curtain airbags. Anti-lock brakes are standard, as well as traction and stability control. A Bluetooth hands-free interface is standard. We'd also, in a some cases, figure Audi's quattro all-wheel-drive system as safety-related; it's not available on four-cylinder A6 sedans, but it's standard on six-cylinder cars. Google Earth navigation views, Bang & Olufsen sound, and a dedicated Internet connection are all features that go above and beyond what's typical, even in this class. 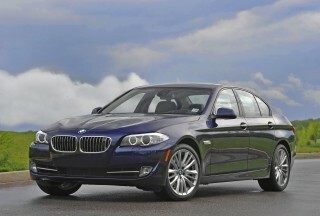 The 2013 Audi A6 and S6 are very well-equipped at the base level, as luxury sedans. But it's the options for the lineup that will really impress passengers. From Google Earth maps, to in-car wireless Internet access, to an innovative system that lets you trace out letters with your finger, this lineup goes above and beyond with tech options. Even at the low end of the model line, the A6 is very well equipped. Standard features include power windows, locks and mirrors; cruise control; leather-trimmed seats; tilt/telescoping steering; 17-inch wheels; ambient lighting; three-zone automatic climate control; power front seats; a sunroof; pushbutton start; LED taillamps; AM/FM/XM/CD audio with a 6.5-inch LCD screen; and MMI, Audi's multi-media interface. Audi's screen-based interface, called MMI, has improved a bit over the years, with a streamlined interface, better menus, and some clear shortcut buttons, but it's still a system of clicks, wheels and roller knobs that requires several movements and an eye on the screen for most tasks. But one feature on the latest version, called MMI Touch, is a standout. A panel with buttons for preset functions doubles as a pad on which drivers can trace out letters to enter destinations or choose from the phonebook; this part of MMI works quite well, but we can't help but think Audi would be better with enhanced voice commands and a touch screen. With a Premium Plus package, you get a seven-inch color display; a CD changer (for anyone who still uses physical artifacts); 18-inch wheels and tires; HD Radio; front and rear parking sensors; real-time traffic data; and Audi Connect, and an in-car wireless data service through T-Mobile USA (it's free for an introductory period. You also get Google Earth navigation, a stunning, simple add-on to conventional navigation that skips POI icons drawn by graphic artists and goes right to the Web titan for real-world pictures of the landmarks you're passing. Audi's system also allows you to plan and send up to 50 destinations to the car's navigation system from a computer and Google Maps. 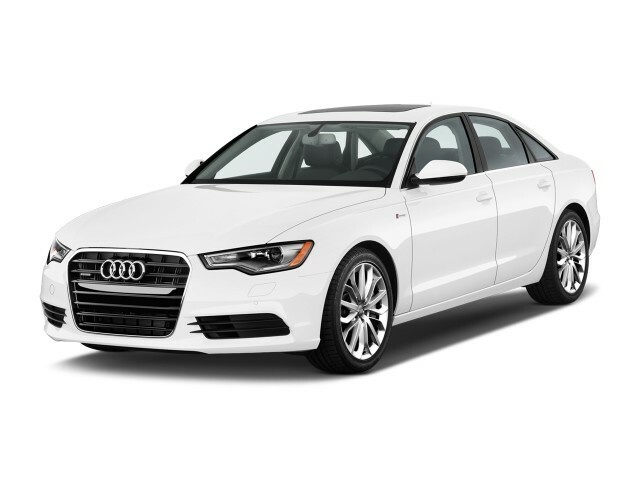 2013 Audi A6 Prestige models come at the top of the model line. And what's confusing is that you can add a $6,550 Prestige Package to them, which adds a lot of good stuff like distinct 18-inch wheels; four-zone climate control; adaptive headlights; LED interior lighting; a Bose speaker package; ventilated front seats; a power-adjustable steering column; cornering lights; and S-line cosmetic trim, including its own grille and bumpers. S6 models are only offered in Prestige trim. Other noteworthy options include a cold-weather package and an awesome 15-speaker, 1300-watt Bang &amp; Olufsen with tweeters that rise on startup. Beware that you can easily load an A6 Prestige up toward the $70k mark--and that's about where the 2013 S6 Prestige starts. With no hybrid or clean-diesel option, as of yet, the 2013 Audi A6 and S6 lineup isn't quite as green as rival luxosedans. The 2013 Audi A6 returns reasonably good gas mileage whether it's equipped with the turbocharged four-cylinder engine in A6 2.0T or the supercharged V-6 in A6 3.0T models. In front-wheel-drive 2.0T models, you'll have to endure Audi's continuously variable transmission to get the best 25/33-mpg ratings. But in 2013, for the first time, Audi is offering 2.0T models in quattro all-wheel-drive guise, with the eight-speed automatic. 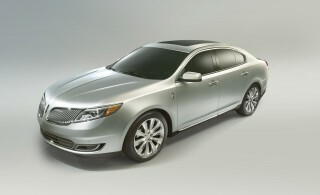 Those models earn 20 mpg city, 30 highway--1 or 2 mpg better than the 3.0T. But even with the 3.0T and quattro, it's not bad; the supercharged, direct-injected V-6 powerplant and its standard all-wheel drive deliver 19/28 mpg. Otherwise, the A6 doesn't quite hit the high-mileage mark reached by some of its rivals, as there are no hybrid or diesel models. They're on the way, however, as soon as next year. You could not find a more refined, balanced, quite, and peppy enough auto at this level. Absolutely nothing has needed repair in two years. The turbo four is light and therefore balanced to the handling. The... You could not find a more refined, balanced, quite, and peppy enough auto at this level. Absolutely nothing has needed repair in two years. The turbo four is light and therefore balanced to the handling. The sport package has paddle shifters that create gear like rev shitting on the CVT trans.